Change the design of Launchpad, Dashboard, and Mission Control. Is there a better alternative to Lion Designer? 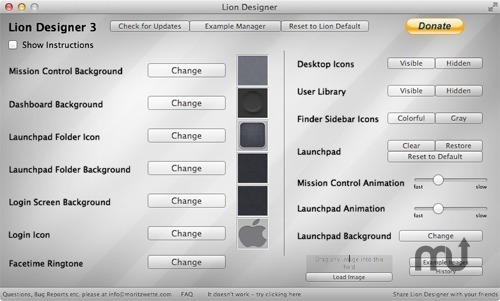 Is Lion Designer really the best app in Desktop category? Will Lion Designer work good on macOS 10.13.4? What's next? I will try to create threads so that you can apply multiple images at the same time without the "freezing" effect. So you can change and customize incredible many features in OS X 10.7 Lion and OS X 10.8 Mountain Lion as well. Don't panic if you make a poor change; you can reset it back to default with the click of a text-button (click on the show instructions button) . Lion Designer is absolutely free, therefore any donation would be very much appreciated and a great way to say thanks!